Create a wonderful e-mail invitation with the same style of your event, and invite your guests. Send up to 2,500 emails per month, and ask for more quantities if you need it. There are no daily sending limits. 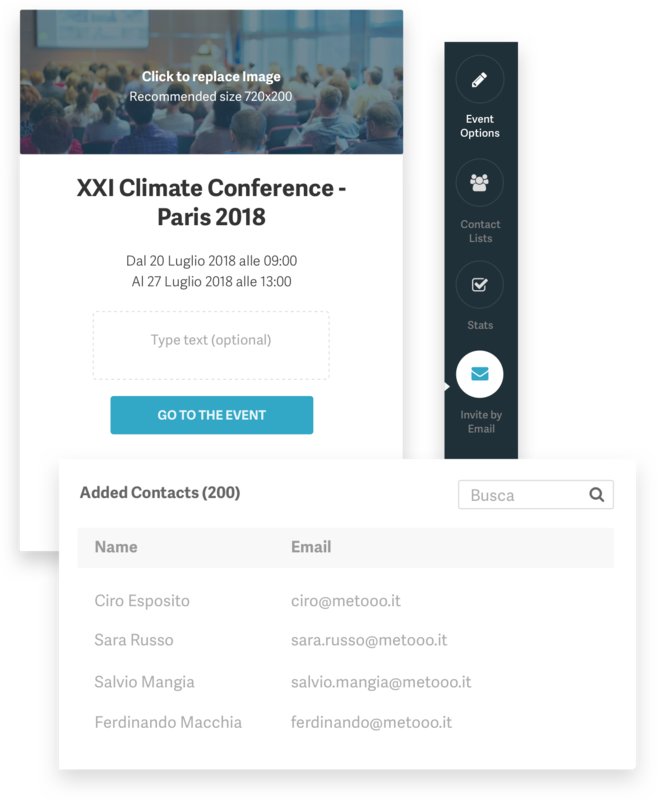 Select the list of contacts to invite, personalize your invitation, and send your RSVP, which will arrive to your recipients and will not end in spam.